Q&A 1491 – The Four Horsemen of the Apocalypse indicated by Islamic flags? I found a website proving that radical Islam is prophesized in the book of Revelations 6:1-8. 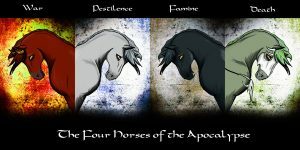 Surely it cannot be a coincidence that the colors of the four horsemen of the apocalypse -- white, red, black, and green -- are the Muslim colors. What do you say? 6:1 Then I saw the Lamb open one of the seven seals, and I heard one of the four living creatures call out, as with a voice of thunder, “Come!” 2 I looked, and there was a white horse! Its rider had a bow; a crown was given to him, and he came out conquering and to conquer. 3 When he opened the second seal, I heard the second living creature call out, “Come!” 4 And out came another horse, bright red; its rider was permitted to take peace from the earth, so that people would slaughter one another; and he was given a great sword. 5 When he opened the third seal, I heard the third living creature call out, “Come!” I looked, and there was a black horse! Its rider held a pair of scales in his hand, 6 and I heard what seemed to be a voice in the midst of the four living creatures saying, “A quart of wheat for a day’s pay, and three quarts of barley for a day’s pay, but do not damage the olive oil and the wine!” 7 When he opened the fourth seal, I heard the voice of the fourth living creature call out, “Come!” 8 I looked and there was a pale green horse! Its rider’s name was Death, and Hades followed with him; they were given authority over a fourth of the earth, to kill with sword, famine, and pestilence, and by the wild animals of the earth. There are indeed four colors -- we will examine them more closely in a moment. 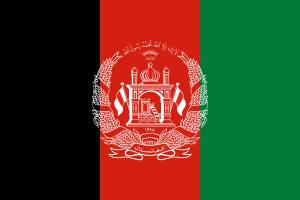 For now, let's grant that the colors appear on certain Muslim flags. I think the proponents of the "prophecy" are counting on our not investigating the vexillological evidence. (Vexillology is the study of flags.) Allow me to share what I discovered. These nations tally nearly 900 million persons -- over half of all Muslims globally. Yet not one conforms to the criteria of our vexillogical conspirators. 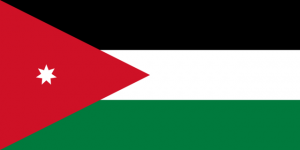 And what about 29 other Muslim or Muslim-majority (*) nations whose flags I examined? 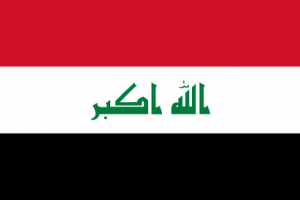 In sum, only 8 Islamic flags feature the 4-color combination. Our apocalyptic conspiracy theorists ignore 35 other flags, representing the vast majority of Muslims, from secularists to moderates to fundamentalists. They've ignored all the contrary evidence -- over 80% of the whole! One more thought on the color-combo. 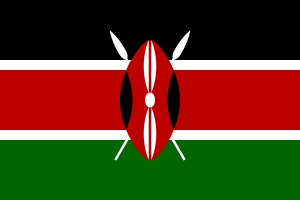 Kenya has the four colors, yet it isn't a Muslim nation. (Only 11% of Kenyans are Muslims.) It should be abundantly obvious that the proponents of the prophecy are playing games. More on this in (4), below. leukos = white (v.2). It's the normal word for white; this is not controversial. pyrros = fiery red (v.4). This is not the normal word for red (erythros). 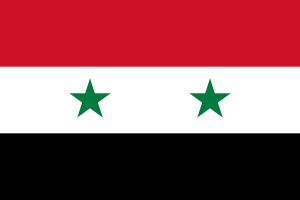 I do not believe this color shows up in any Muslim flags. melas = black (v.5). Same semantic range in Greek as in English. chloros = green (v.8); light green (as of plants [Gen 1:30; Mark 6:39; Rev 8:7; 9:4]); pale green; pale greenish gray (as of the pallor of corpses). NT scholars believe that in Rev 6 chloros, with its overtones of death, is a far paler version of green, with grayish hue. While black and white match, both fiery red and pale greenish gray do not. Yet even if they did know Greek (this is ridiculous -- respectable Bible scholars don't propose inane theories), the context of the passage completely rules out Islam. The context: the ultimate fall of the Roman Empire. Note that the Western Roman Empire fell in 476 AD. (The Eastern Roman Empire, whose capital was Constantinople [Istanbul] fell only in 1453.) As for the specific divine punishments, the picture to your right captures them fairly well. (For more on context and interpretation, click here.) To access the NT chapter studies on Rev 1-22, click here and scroll down to Revelation 1. If there is still any doubt of the wrongness of the scaremongering "prophecy," let's consider how easy this would be if we too selected at will from all available flags to find grist for the rumor mill. How about a different color combination? Dozens of flags bear the three colors red, white, and blue. Obviously there must be a conspiracy involving the U.S., Russia, Cuba, and North Korea, since they all share national colors! 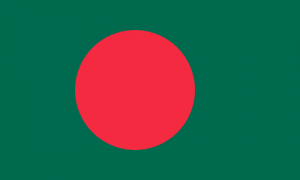 (Actually, I see 28 flags with this exact chromatic combination.) Are we to ransack the Minor Prophets for passages about Russia? Of course not. This is silly. Those attempting to foist the supposed Rev 6 Islamic prophecy are playing games. Either they are deliberately distorting the facts, or they are uncritically swallowing whole what they have received online and sending it on to others who may be (we suspect) equally uncritical in their logical skills. We have studied a clear example of people misusing scripture and ignoring any other evidence that doesn't support their claim. Let's not be taken in. Not only can unexamined claims frequently compromise our integrity -- to say nothing of our approach to God's word. They also demonize, polarize, and divide -- the last thing we need in the current political climate. After all, loving our neighbors (or enemies, or brothers) includes not slandering or misrepresenting them.